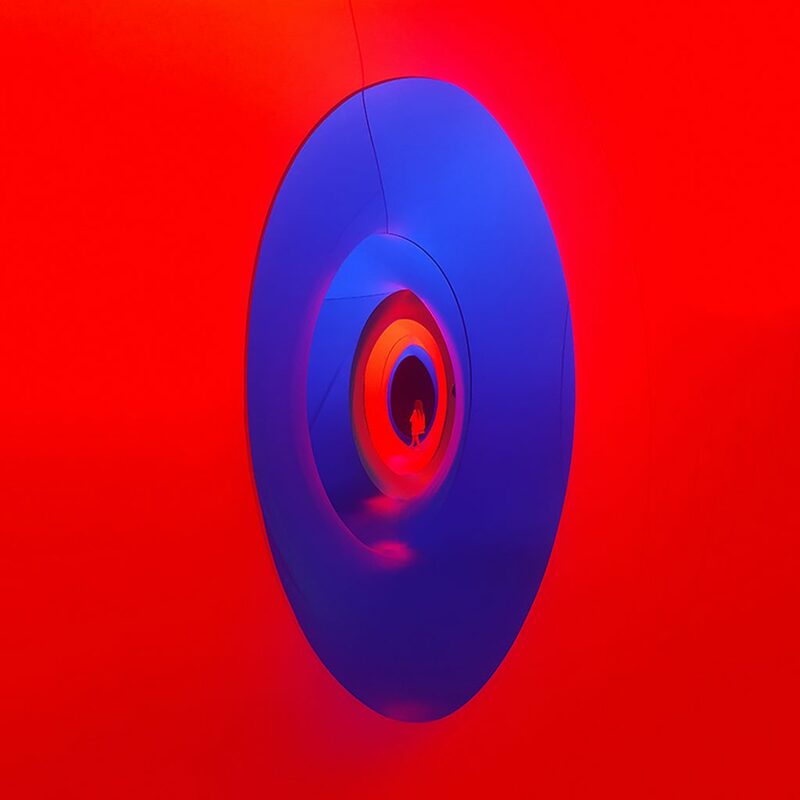 I went to visit Colourscape at Waddesdon Manor, situated in the Rothchild’s gardens, which was by far the most amazing interactive exhibition I have ever been to. 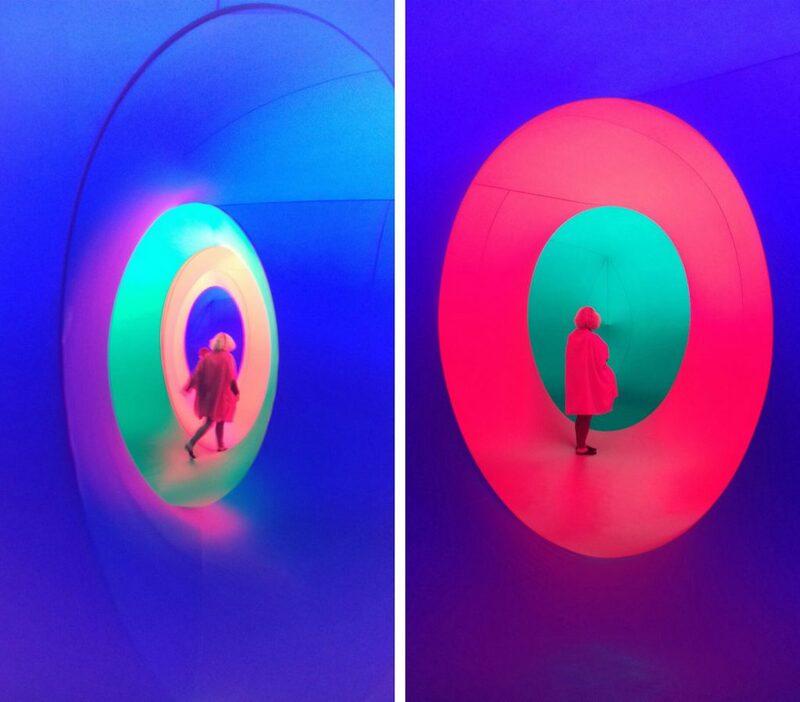 The Colourscape artists presented an experience of intense colour, light and sound. 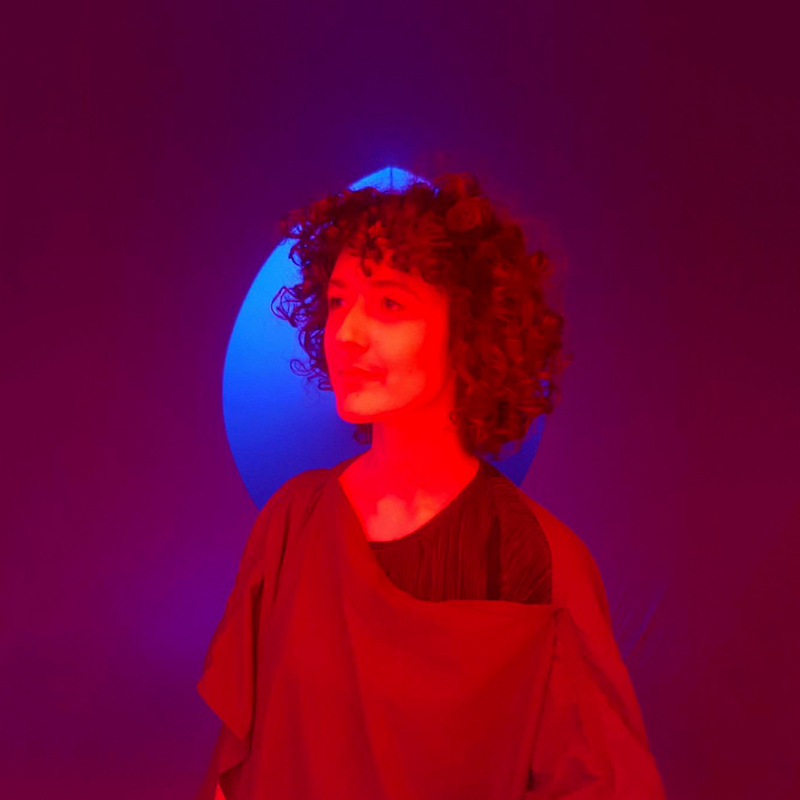 It comprised of a series of 56 opaque and primary coloured inter-linked chambers that, when daylight shone through, tunnels of rainbow light was created. To heighten the experience guests had to wear a coloured cape before entering the maze that matched with the chamber’s colours, this resulted in the audience becoming completely immersed into the multicoloured interior, morphing into a part of the installation themselves. To top it off there was a musician walking around playing the guitar which echoed throughout the chambers heightening your senses even further. This was the perfect recipe for creating a truly magical sensory space with the collision of colours making you feel like you were walking through a dream. If you ever see this exhibition pop up anywhere I would highly recommend it!